We're going into the month of April already this year and I can hardly believe it. One of my goals at the beginning of this year was to eat a bit more healthier and to add a bit of exercise in my daily routine. Well, the healthy eating has really stuck, especially during this pregnancy. Most of my cravings have involved some type of fruit or veggie and I couldn't be more happy. I've also lost a few pounds, which my doctor isn't worried about and neither am I. Did you guys know that March was Nutrition month? Have any of you guys kept with your goals or resolutions from earlier this year? If you've fallen off track, don't worry, there are plenty of ways you can make small changes in your life, like, replacing your sugar with Truvia. By now most of you readers know how much my family and I enjoy this calorie free natural sweetner. I've replaced it in all of my meals whenever sugar is called for and you won't believe how much you wouldn't miss the sugar. 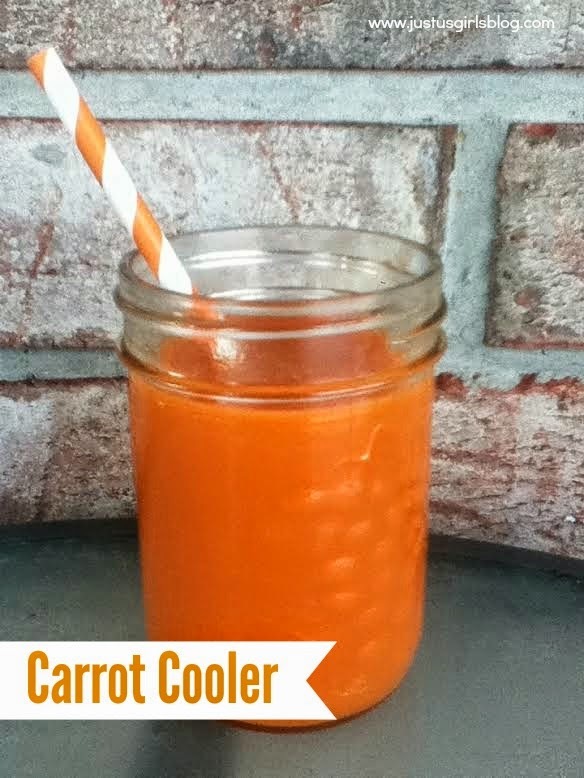 I want to share with you a drink that is perfect for those of you trying to live a more healthier lifestyle, the Carrot Cooler. This drink is packed with healthy and delicious carrot and orange juice and you wouldn't believe how great the two go together. It's perfect for in the mornings to give you the energy you may need. 1. In a mixing tin half-filled with ice, add: Truvía natural sweetener, orange juice, carrot juice and cinnamon. 2. Stir until tin is frosted, pour into a tall glass. Disclosure: All opinions are my own. I received products from Truvia at no cost for the purpose of this review. No other compensation was received.